myK+ is the FREE service included in the subscription of Premium+ channel package. The service provides access to a selection of contents offered by K+ and subscribers can enjoy on their devices via internet connection. Such devices include desktops, laptops, tablets and smartphones (Android and iOS). 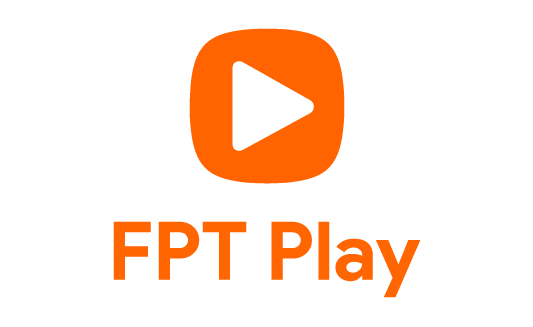 Subscribers using myK+ would be able to enjoy premium and exclusive contents on K+ channels including: The Barclays Premier League, The Spanish La Liga, all ATP Masters 1000-500-250, ATP World Tour Finals 2016, PGA Tour 2016, latest Vietnamese movies, US series, Asian dramas as well as other exciting programs exclusive on K+ channels. 2. Who can access to myK+? Customers who subscribe for Premium+ channel package are eligible to have access to myK+ service. Those who subscribe for Access+ package will have to upgrade their subscription to Premium+ (only 125,000vnd/month) if they want to use myK+. 3. How can I enjoy myK+? 4. How can I create myK+ account? For the moment, the registration of myK+ account is only available on website www.kplus.vn only. Here are steps to register for myK+ account. 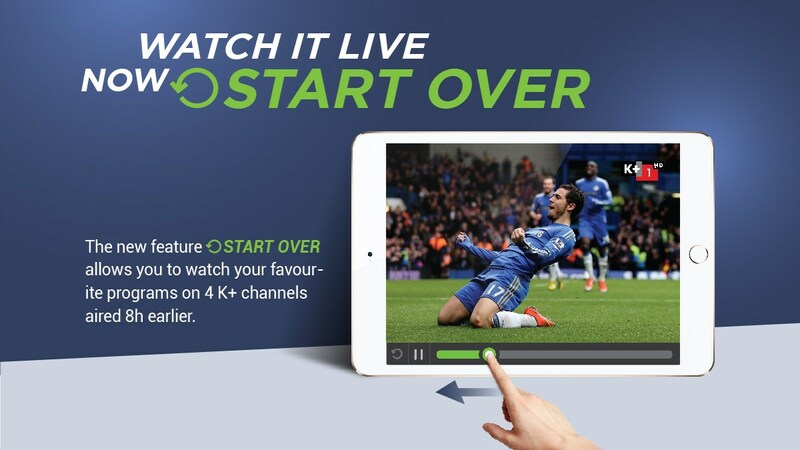 Live TV: streams live signals of a selection of TV channels provided in Premium+ package. For the first phase, the channels include 4 K+ channels and 7 VTVs. Broadcast schedule: presents a grid by channel, showing TV programs scheduled for up to one week in advance. Account support: help subscribers check their subscription details as well as myK+ account info and renew online. Customers can also browse for answers in FAQ section. Contact: shows hotline number and store list for further assistance. 6. Which devices can I use myK+ service? For tablets and smartphones, myK+ apps is available now for Android (ver 7.0 upwards) and iOS (ver 4.0 upwards) for FREE downloads from Google Play store and App store. The application will not work on jail-broken or rooted devices. 7. How many devices can I use myK+ at the same time? 8. How can I access to Live TV? 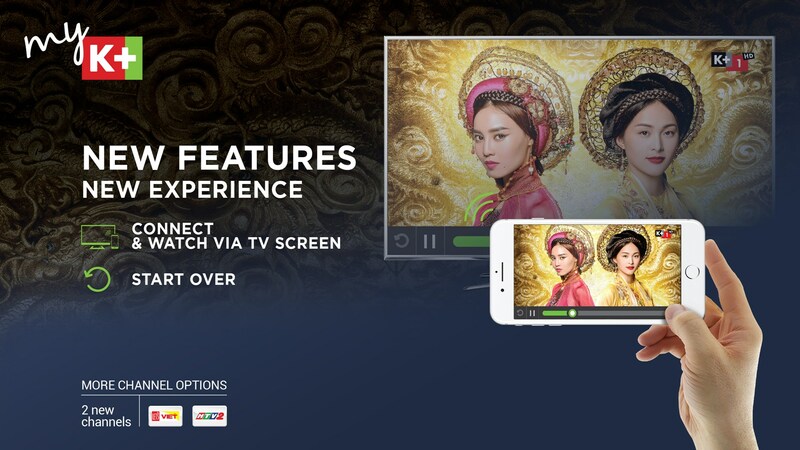 Only myK+ account that has active Premium+ subscription package can access to Live TV and watch the streamed channels. myK+ would support flexibly depending on the customer’s internet speed, at minimum 110kbps. The higher the speed, the better the quality. It is recommended to experience myK+ via internet rather than via 3G as it would consume customers’ 3G package capacity. Also, with quality optimization technology, myK+ would bring the best out of the internet speed that the audiences have. Furthermore, myK+ service is completely unaffected by weather issues, which makes it very convenient for customers who love mobile television anytime, anywhere. 9. If my subscription is not active, can I login to myK+? Inactive subscribers can still login myK+ account and access to all sections available except for Live TV. That means, subscribers can browse for broadcast schedule, check their account info and refer to FAQ section. 10. How can I change my password? 11. I am subscribed to Multiroom service which means I have main and secondary subscription, how many myK+ accounts can I register? Each and every customer (subscriber) can register for only one (01) myK+ account regardless of the information used from main or secondary subscription. 12. How many channels are there on myK+? At the moment, there are 34 channels including 4 K+ HD and other foreign and local channels. The total number of channels on myK+ might be different to that of the satellite channel package. Download "myK+" from Google Play Store and App Store below.